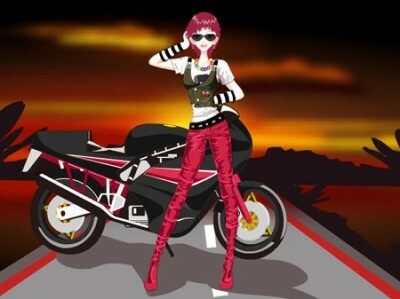 Sunset Biker Dress Up. Games online. At this time of day when the sun sets down and the sky is full of unbelievable colours, the cool girl gets on her motor bike and goes for a ride. Help her choose the proper outfit and accessories for the ride.